Wednesday 20th July 2011, Ray Comfort, Round 2! Wednesday 20th July 2011, The Ray Comfort Interview. I guess of forgot to say that prior to heading up towards Mnt Wilson, I capped off a couple of emails, the first to Eugenie Scott, the second to Ray Comfort. In the morning I was awakened early by a National Forest Ranger tapping on my window. The first thought when this happens is of course ‘here we go!’. I was just pulled in a large siding overlooking LA and there was by this time quite a lot of traffic on the road. Turns out he was just giving me a heads up that if I wanted to do this sort of thing, that I needed a permit from the rangers station for ‘bird watching’ or something. Either way I think he was just checking me out to see what sort of bum I was, and when it became clear this wasn’t a permanenty-type thing, that he would just let me go on my way. Headed down to the nearest Starbux the GPS could find and to see what was going on. Turns out Ray was interested, and whats more was interested in doing something ASAP. Part of me ground my teeth at the prospect of driving across LA again, but thems are the breaks. So almost no sooner had I arrived was I packing up again. 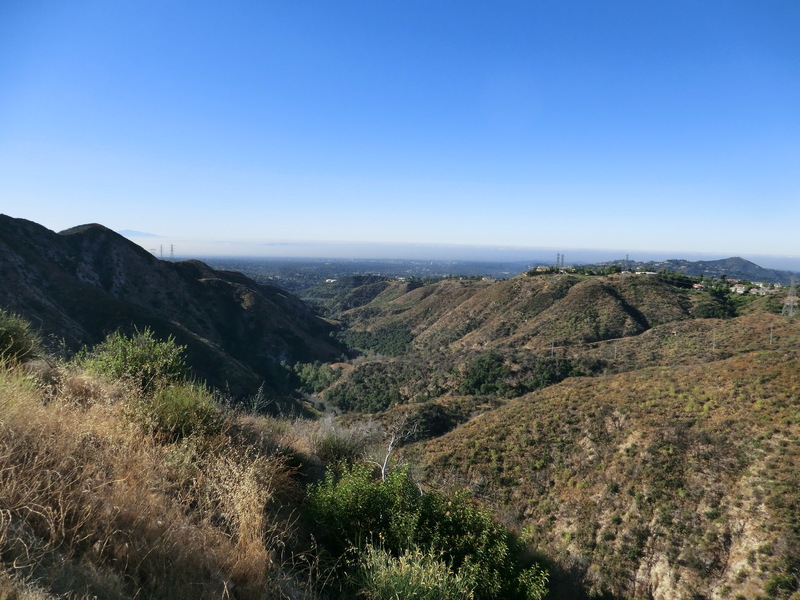 The drive across LA was probably easier in the busy morning than in the quieter dark. Being able to see things I think helps a lot. Not sure what time I met up with Ray, as I’ve lost my watch, and when I told Ray about this, he promptly undid his watch and gave it to me. A very kind gesture to be sure, and the intent was clear. Unfortunately when I get a watch, a barometer is probably going to be the primary feature. I can tell quite well how many hours of light there are left in the day just by looking. I have no such equal intuition about altitude (important if you are in the mountains). We got some chairs and headed out into the car lot, and had about a 45 min discussion on morality. We then headed back inside and I spent the next hour or so unsuccessfully trying to synchronize the files with one of the guys from Ray ministry. During that time we had quite a long chat on ‘prepositional apologetics’. I gave the obvious answer, which is, if you need to presuppose ANYTHING, then you can’t say for certain if anything is absolutely certain. We then had lunch, and the conversation of lunch was probably more throughtful than the earlier discussion we had. After lunch it was back to battling with the computers. Eventually we got things working and I said my goodbyes and was out shortly before 2ish. Driving across town was a miserable burden, made worse by the fact that I was feeling terribly fatigued. Couldn’t figure out why though till I made it back to the starbux and saw myself in the mirror. For the 40 min discussion with Ray, my pasty limey form had been under full sunlight` I was mildly sunburned over virtually all my exposed skin, and this was doubtless related to my fatigue and headache. I put my feet up and went to sleep for about an hour in the car, and woke up feeling much refreshed. After that I had choices to make. Mr Deity is in the coast area, and I tried a couple of times (unsuccessively) to contact him. Decided to head up the coast towards San Francisco, hopefully to bump into Eugenie Scott enroute. There was also the couple (L n H) who had put me up in Las Vegas, and I was meant to drop by and say ‘Hi’ to, but by this time I was a spent force, and was just looking for somewhere quiet to spend the night. Headed out to the NW of LA and found a place just short of Filmore and just pulled over into a quiet and secluded siding and went to sleep.